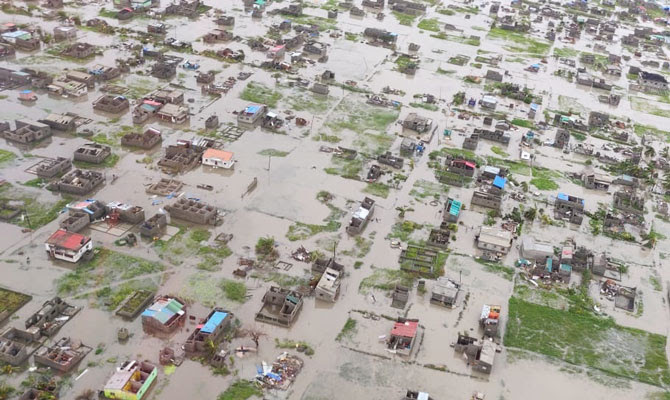 It has been defined as a hecatomb, the situation in Mozambique after almost 10 days from the cyclone Idai. The number of the victims is continuously increasing, many villages disappeared, and many communities are now isolated. Clean water, food and electricity are urgently needed. The risk for an epidemy is very high. It was only last month when one of the neonatologists of the Chiesi Foundation volunteer team was in Mozambique for the first assessment-mission of the project “Healthy Newborn Project: innovative approach for the protection of newborn’s health in the province of Sofala”, implemented together with CUAMM – Doctors for Africa - in the same heath facilities that nowadays are not there anymore, or they are deeply damaged. In the complexity and grief of this moment, the Chiesi Foundation decides to support the interventions implemented by CUAMM who is currently on the ground supplying first aid kit for later begin the renovation of the destroyed health facilities. For this reason, we decide to devolve the 2017 5x1000 amount of Euro 31.500,00 to the emergency in Mozambique.